Shangri-La, which in Tibetan means “sun and moon in the heart”, was made famous by James Hilton’s 1933 novel Lost Horizon. Later, it came to be believed that Shangri-La was located in Dechen Tibetan Autonomous Prefecture in Yunnan province. In Tibetan, Dechen means “place of good fortune”. 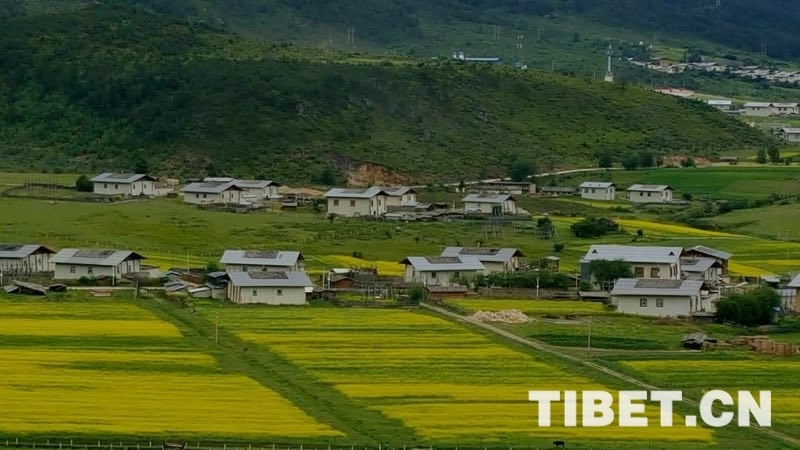 It is the only Tibetan autonomous prefecture in Yunnan, and it is located in the northwest of the province at the junction of Yunnan, Sichuan, and Tibet in the southern part of the Qinghai-Tibet Plateau. Shangri-La is the only way to access the Yunnan-Tibet part of the Ancient Tea-Horse Road. It is also called “Gyalthang” by the Tibetan people, which means “broad flatland” or “another flatland” in Tibetan. The famous Kengong Village is located just on the plain. 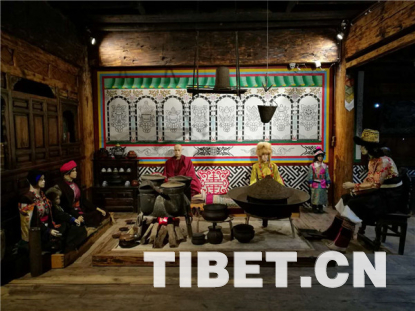 Fire pit culture items on display in a village museum named after the Ancient Tea-Horse Road. One day in 1906, a boy was born to the Kengong family in the village. He later became a locally famous monk merchant named Lharong Truchen and was revered as Kengong Tsongbang. He has a high reputation not only in the snowy plateau of Dechen, but even in Chamdo, Tibet. 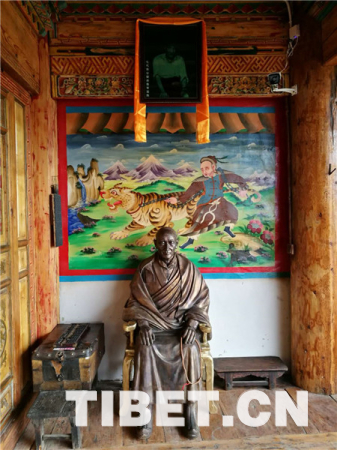 When he was seven years old, Lharong Truchen was brought by his family to Gandan Sumtseling Monastery to become a lama. Gandan Sumtseling, known as the “Little Potala Palace”, was built in the year 1679 and completed two years later in 1681. Here, Lharong Truchen studied hard, later earning a decent job at the monastery. At the age of 13, his family encountered a misfortune, leaving them with only one cow and two horses. As a result, the young and inexperienced Lharong Truchen was forced to undertake the responsibility of restoring their family income. He took others into deep mountains to dig herbs and pick wild vegetables, drying them and using a horse to take them to Lijiang to sell. In Lijiang, he would also buy vermicelli, wine, and brown sugar to sell in his local area. After spending nearly a year doing this kind of business, Lharong Truchen earned money and bought three horses. After that, he continued to travel back and forth between Gyalthang and Lijiang, and also to Dali, to do business.